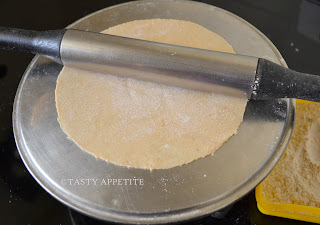 I received a few mails from readers asking me to post the simple recipe of preparing soft roti/ chapatti. So, I thought I would share with you the healthy recipe with easy tips..! 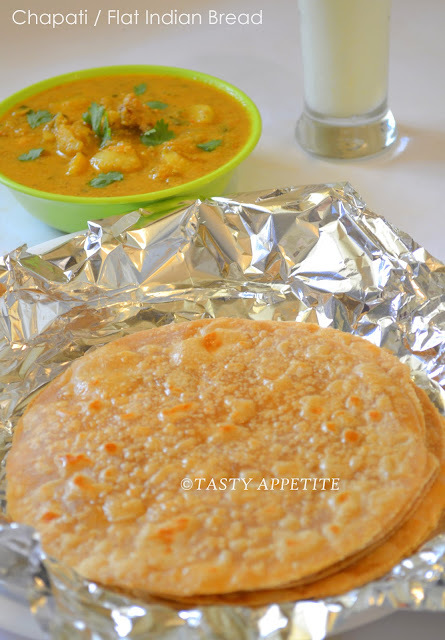 Most often, dinner for my family will be chapatti with some gravy..!! 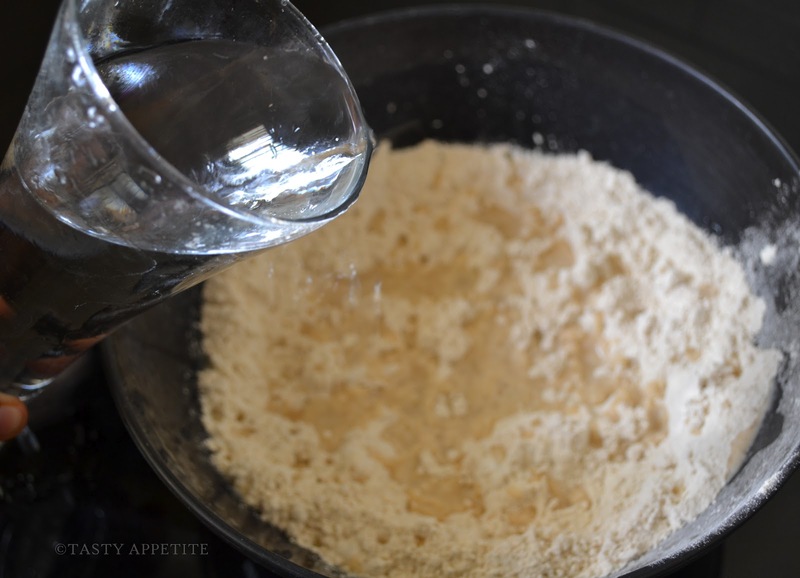 The preparation of this staple food requires simple ingredients, wheat flour, salt, oil and water. 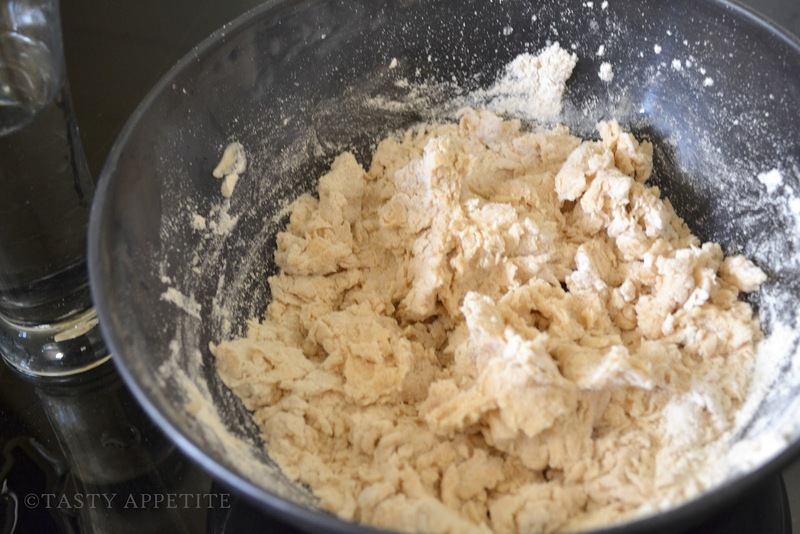 And the secret lies in kneading the flour to smooth dough and cooking them in perfect heat to soft rotis. 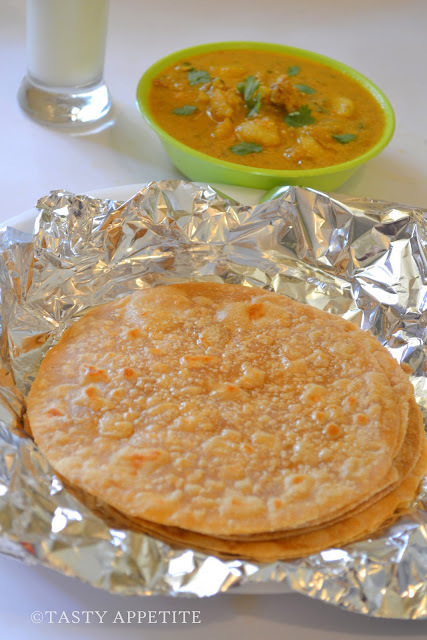 As it is made of whole grain wheat, it makes a healthy & delicious accompaniment to any masala curry..! Mix flour &salt together in a mixing bowl. 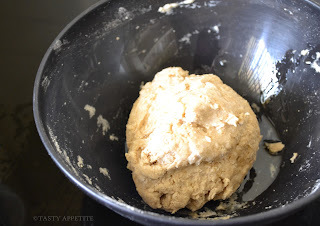 Add required water little at a time and knead to make a soft dough. Add 2 tsp of oil and knead well. 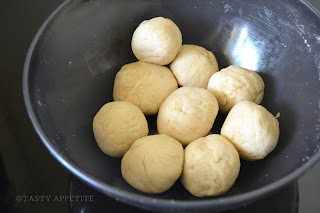 The addition of oil makes the surface of the dough greased, smooth & pliable. 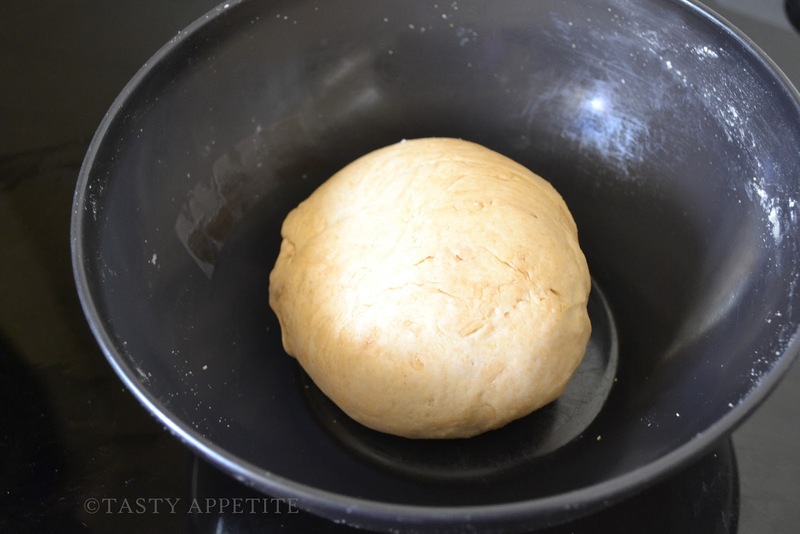 Cover it with a damp cloth and set aside for 15 to 20 mins. Take the smooth ball and press flat. 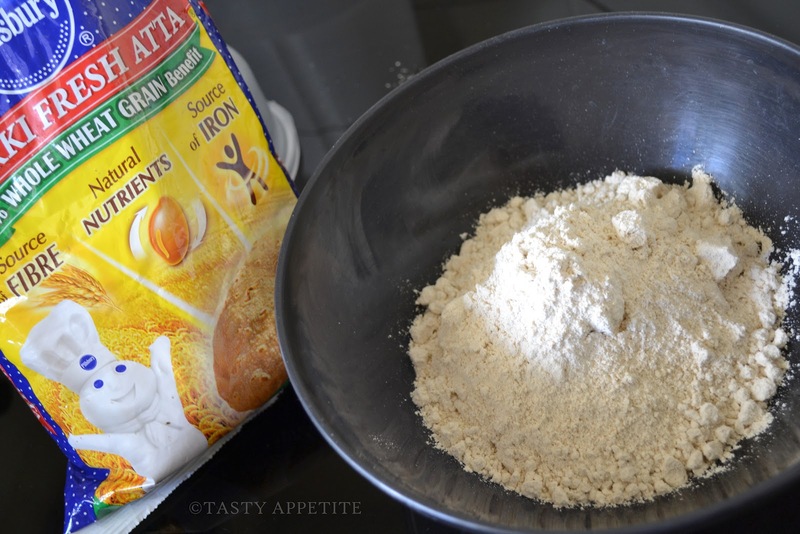 Dust it with dry flour from both sides. If the dough sticks to the rolling pin, slightly dust the roti with dry flour. Take care not to add too much of flour, this may turn roti dry. 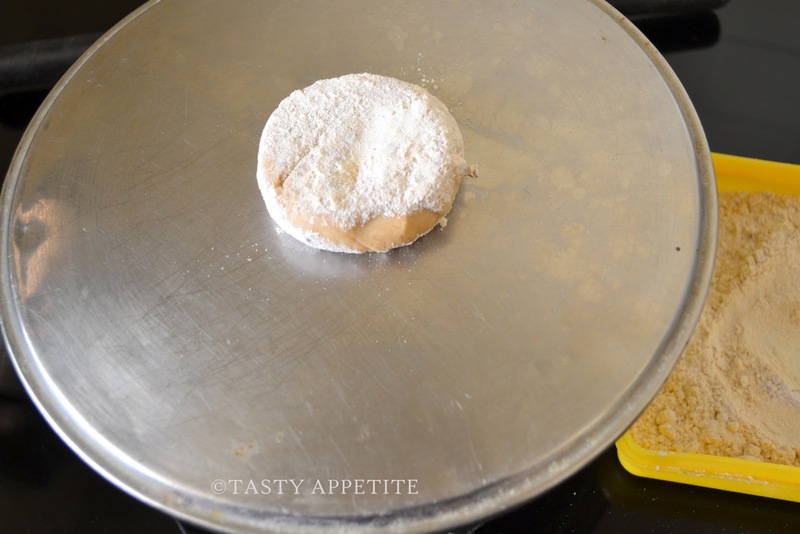 Heat an iron skillet or non stick pan. 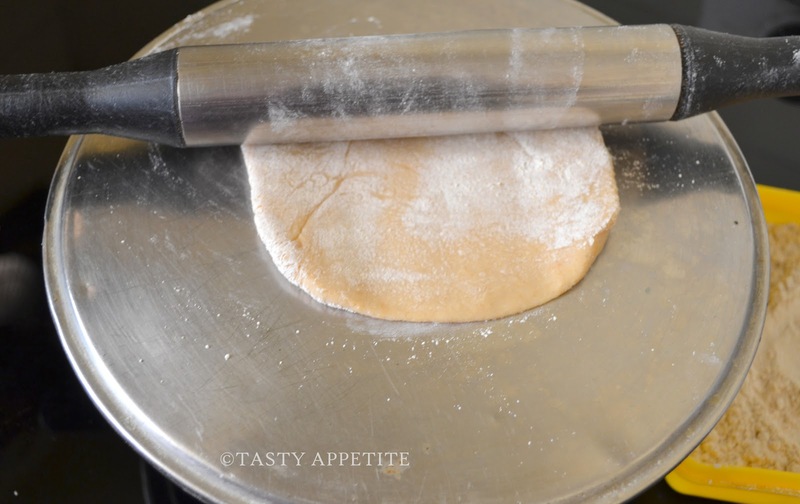 Place the rolled roti over skillet. 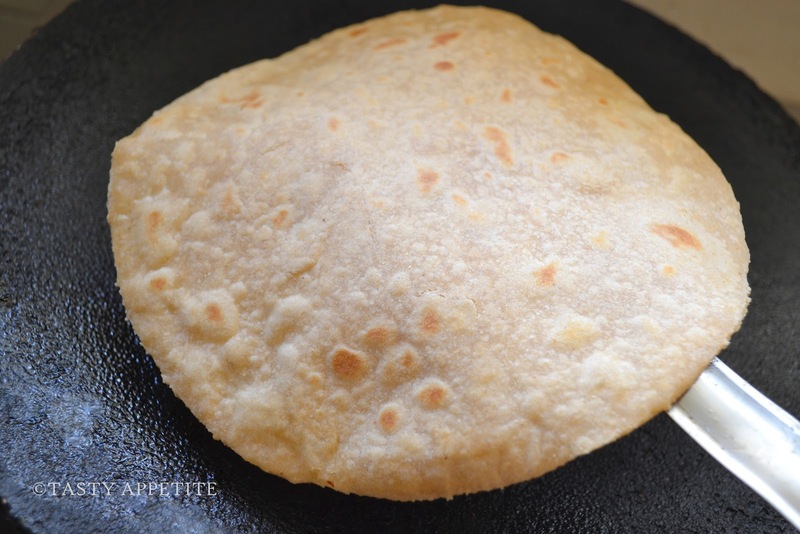 Once the roti start puffing, flip the roti over. 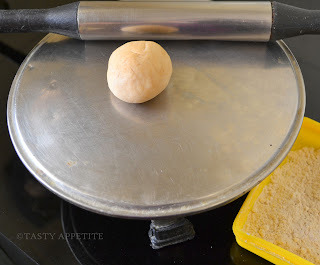 With a flat spatula, slightly press on the puffed surfaces. 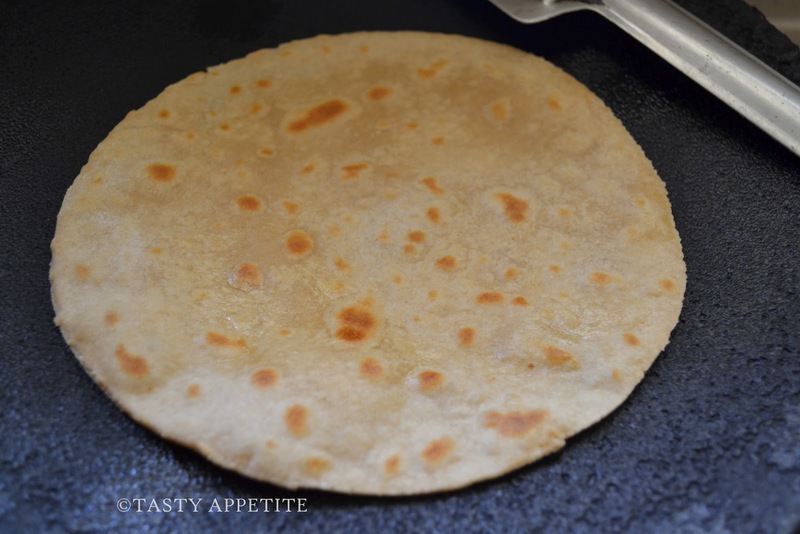 Once the rotis are with golden brown spots on both sides, remove from skillet. 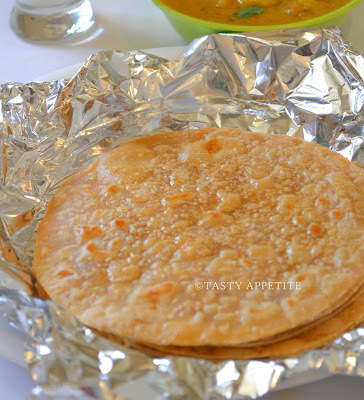 Dash the hot rotis with ghee or butter. Enjoy these yummy rotis with Paneer butter masala or Chicken tikka masala ..! Nice pictorial Jay..specially for those who are new to cooking. This lool really yummy Jay! The rotis look so delicious! Nice stepwise pics Jay. Love it !! 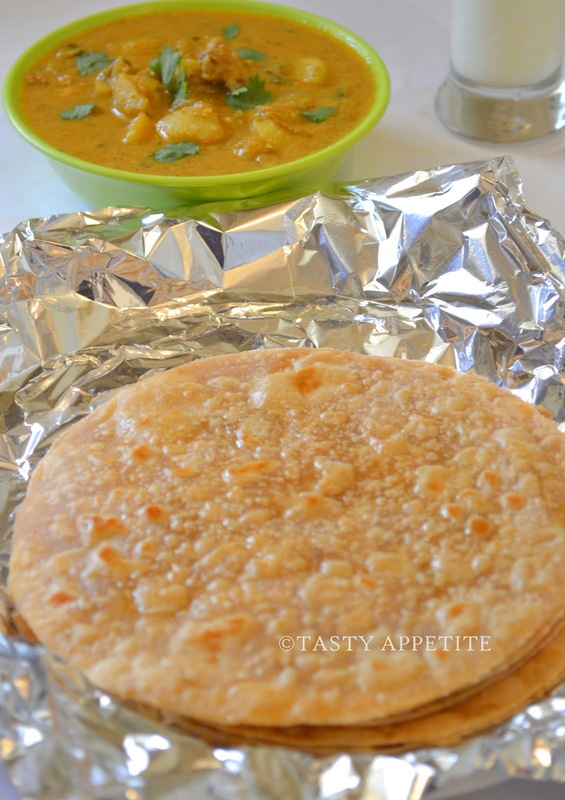 Is nice to have some light meal with chapati :) Can I substitute Atta flour with other flour? Is hard to find atta at my place. Thanks! Looks delicious and my fav food. Interesting and it looks simple to do. Just need 3 ingredients. I need to get a package of Whole Wheat flour now. 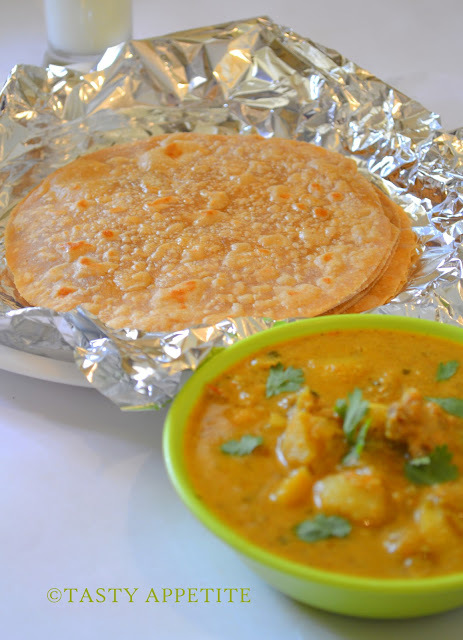 Delicious roti, nice step by step presentation. 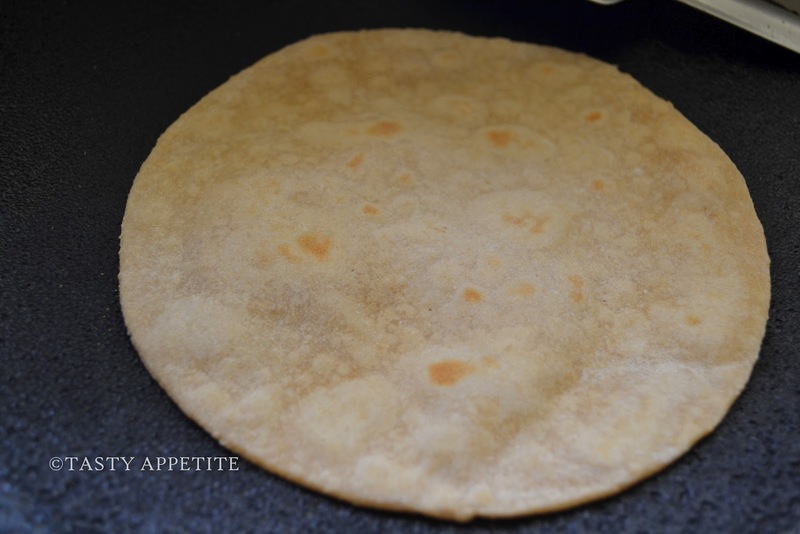 Perfectly made, very nice fluffy soft rotis........Excellent presentation. 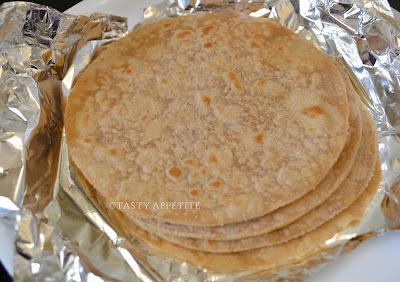 Delicious and wholesome chapatis. Great pics. This is perfect, especially for those who have yet to enter the kitchen!! Thanx for sharing this easy dish in a better way..It ll help many people in their day to day cooking! good explanation with SBS photos!! nice presentation..lovely pictures..thx for sharing! 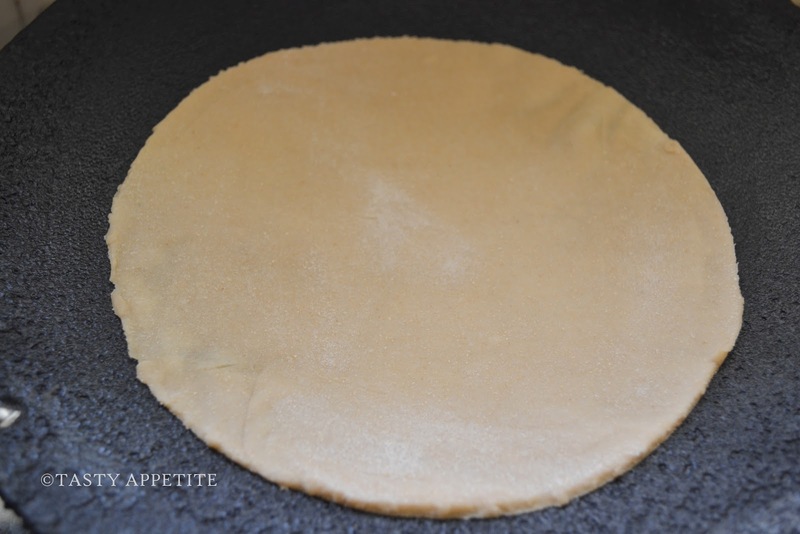 very tempting and soft chapathi.. Very useful post for the beginners. well explained.. It surprised me that it puffed a little even without baking soda or powder. I'm thinking would be good with additions, such as cumin seeds, sesame seeds or most anything else. Lovely photos, as usual, Jay. These look so easy yet so delicious! lovely step by step pics......nice chapatis. Practice makes perfect ! 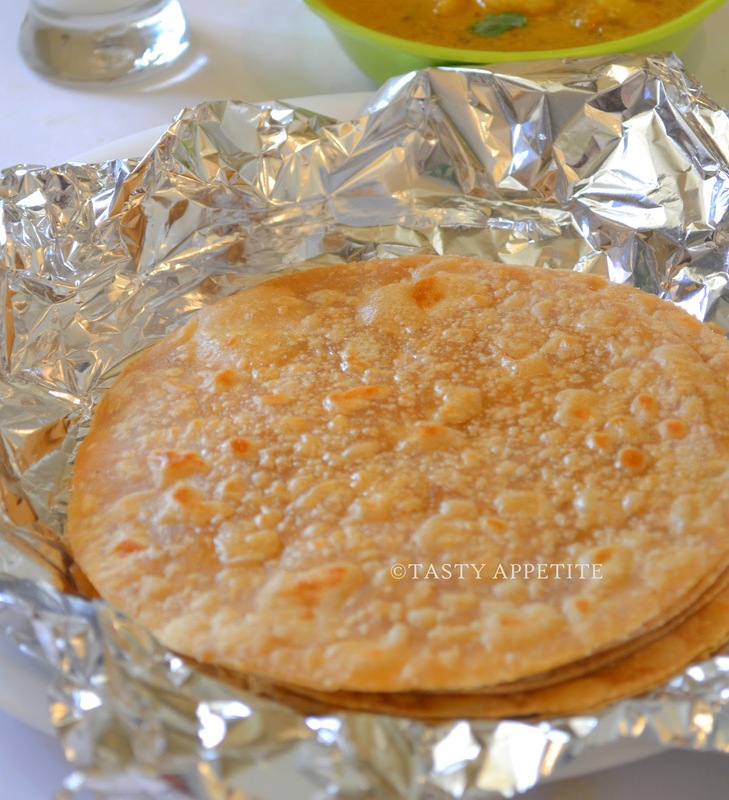 Yup , I haven't made an attempt on making these deliciousness :P But I'll do it sometime :D Love the step by step photos ! Thanks for sharing , Jay ! this will help so many beginners!!! gud!! thank you Jay, everybody loves chapati! Great tutorial. I've made roti, and it's easy - but not so easy always getting consistent results (sometimes they're too dense). I just need to practice more. Good stuff - thanks. Day to day food!! But hard to find a perfect recipe for rotis.. Thanks for sharing.. 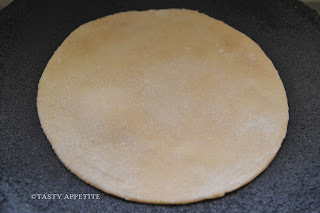 It might be the most basic thing and is made almost daily in my house but I must admit I have still not mastered the art of making perfectly round, soft rotis and too quickly.